The major themes of 1,2,&3 John are abiding, knowing, and obeying all as signs of love toward both God and His people. These eternal truths are what I want to keep near me always. I want my children to know these truths and rest in God’s will so that they can see his love and experience the blessings in obedience. 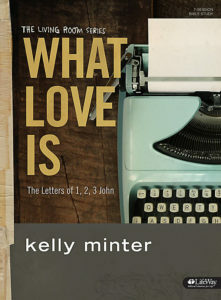 What Love Is is a 7 session study DVD-driven study featuring Kelly Minter. With an average length of 30 to 34 minutes. Kelly’s the kind of speaker and writer that you’d want to invite over coffee. She is very easy to listen to and to read… (she writes much the same way she speaks which is great!) This is a good study for a range of maturity along the journey of faith, but is definitely good for those who are still getting their feet wet. I loved that she included recipes scattered throughout the book. It contributed to making the book quite inviting! The member book includes a small section for jotting down notes from the video and a set of discussion questions designed to help members reflect on their daily studies from the prior week. The five daily “homework” each week will take some commitment. With 4 to 5 pages per day, I spent about an hour a day to really dig into the scriptures, enjoying several “aha” moments, and also applied it to real life. I was blown away with emotions left and right. 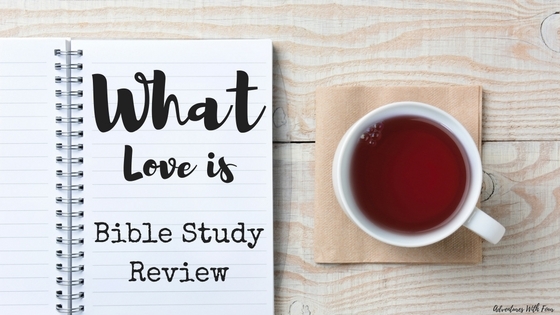 This study really helped me to dive into the word and learn it more deeply while strengthening my faith and growing the relationships with the girls I did this Bible study with. It has been an amazing journey and I can’t wait to start a new one. I remember you saying that about doing nothing this summer! And of course, I knew it didn’t really mean nothing. I think even the little things can be big things. I’m Jewish so it may be slightly different, but I’m all for journeys such as this one. This sounds like a great book. We are looking for a new Bible Study book, I will have to suggest this one. Sounds like a wonderful study…love that it focuses on 1st, 2nd, and 3rd John! I’ve been wanting to get a group of women together in my home for a study…was thinking about a Jen Hatmaker book, but I may have to look into this one, instead! Sounds great. Thanks for the review. I haven’t picked up a new Bible Study in a long time. This one looks really good. I’ll have to check it out! I will have to get this! My church isn’t doing a ladies Bible study for another 6 weeks and I’ve been looking for one to do until then. Thanks for the recommendation. I think Bible study is great . It does strengthen friendships and faith. What Love Is does indeed sound very lovely. I have been looking for a new personal bible study to do. Thanks so much for sharing. I haven’t heard of this but it sounds great! Thank you for sharing! I’m always excited to hear about a new bible study! 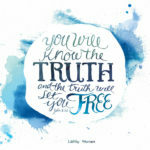 Have you tried lifeway.com they have some in stock. Sometimes just bucket list you can do! People don’t know how to slow down and read anymore. This sounds like a great study. I host a women’s study in my home every week through the school year — I’ll put the book on the possibilities list! Kelly Minter is great! So glad you got the opportunity to dig into God’s word and grow with Him! Bible studies are priceless. What a great way to spend the summer! I have never heard of this, but it definitely sounds interesting! Funny because I feel like we’ve been doing nothing all summer too. This is definitely something I want to look into further, especially since it is only a 7 day course and something I could totally commit to! I will have to suggest this one as something we should try. It sounds like it was a great one for you! It really was! We have our last video this Wednesday so I am just finishing up on the last few days of the homework. Kelly is an excellent Bible teacher. I really enjoy the studies that have us flipping back and forth in the word. (How do you know what’s in there if you aren’t looking right?!? )I saw her a couple of years ago at a women’s ministry weekend where we studied “Ruth” which excellent as well.